Crystals and gemstones posses a form of consciousness and can be used for more powerful, effective Pranic Healing treatments. Crystals that have been properly cleansed, programmed and consecrated can dramatically increase your healing power as they act to concentrate and focus the healing energies used. The Pranic Crystal Healing Course introduces the qualities and capabilities of different crystals and gemstones and how to use them for healing purposes. 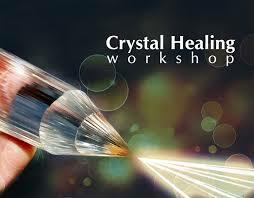 The Pranic Crystal Healing course is ideal for people interested in learning more about crystals and how they may be used to increase their healing power, prosperity and spirituality. The course takes place over one day, usually held on a Saturday or Sunday. The fee for the course is $330. For repeat students, there is a $165 fee and you will need to show your certificate. A clear quartz, single terminated crystal is required for use during the course. Suitable Crystals will be available for purchase during the course or you may bring a crystal to use.